LG Digital Press Conference Live Coverage! LG is getting very, very serious about Android, and a lot of the devices in its newly-minted Optimus line will be running Google's mobile OS. The company has invited us to an LG Optimus press event for the media and tech blogs that will be broadcast online worldwide. 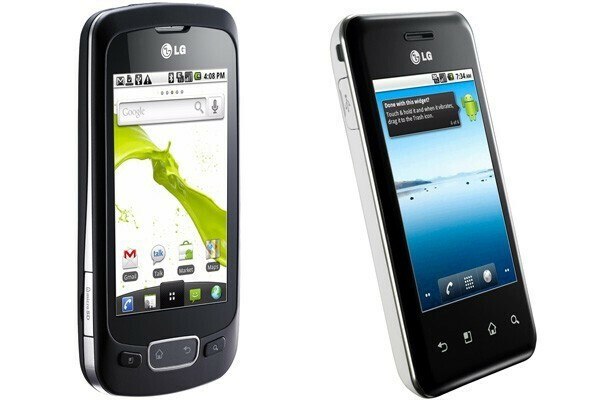 LG confirmed that two Froyo devices will be detailed at the event - the Optimus One and the fashion-centric Optimus Chic. Some leaked specs of the Chic reveal 3.2" capacitive screen and a 5MP camera, but until the event kicks off, we can only play the guessing game. We will be updating you live through our feed below, or you can follow the event unfolding on Twitter @phonearena. When the conference is over, we will post a separate article to summarize what LG had in store for us, and add some pictures. "Participants are also going to be treated to opening graphics and video demonstrations of the handset features provided by Garson Yu, Founder and Creative Director of yU+Co, the man responsible for the title sequences of major Hollywood blockbusters including 300, Shrek and Watchmen." Well, we'll try and get you some screenshots of these visuals as well. Tune in at 10am GMT (5am ET) for the juicy details! 04:28 Thank you for joining us! 04:26 Q: Will all Optimus phones be based on Android? 04:25 LG is working on a tablet! They believe they will offer the best one. They do not want to make just a large smartphone. 04:24 "LG Optimus One is the ticket to the smartphone world" - easy and simple, hope it will be cheap as well! 04:21 LG are pretty optimistic, they say the two phones performed well with early testing and expect 10millions units to be sold! 04:18 LG CEO introduces the phones! 03:46 In 15 minutes we will start sending live updates from the LG Optimus Digital Press Conference @phonearena. Stay tuned!